Those who have taken a child IQ test and scored well are considered gifted. While these individuals are often very advanced when comparing their intelligence with peers their age, they may have emotional needs that also greatly differ from their classmates. When you think of someone having above-average intelligence, you may assume that everything about him or her is advanced. Looking at an 8-year-old child who has mastered college physics, for example, you may assume he or she also has the emotional and social capabilities of a young twenty-something. In reality, however, these gifts are often in only one area. That student excels at math but is still a child in many other ways. He or she may even throw tantrums and occasionally bully siblings. It can be difficult to remember that kids with such high-functioning brains are still young and need time to develop other skills. 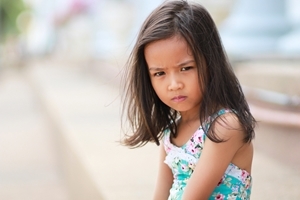 Gifted children are often not just smart, but they also have heightened emotional capacities. This means they may feel things more than others, such as taking their grades much more seriously than their classmates. You may find gifted children are extremely affected by how others perceive them and may even minimize the appearance of their intellect to fit in. According to Talent Development Resources, gifted children may have very intense feelings from negative emotions like anger and sadness to happiness and excitement. They can also experience visceral physical reactions to their feelings, like by blushing and experiencing nervousness in their stomachs. When it comes to children, anything they consider to be different is often a reason for someone to be picked on. Gifted children may have high anxiety because they are aware they are special and must adapt to act more their age in particular situations, like social gatherings with their peers or in school. These students may also grow incredibly nervous before taking a certified IQ test or even a free online IQ test. They are likely aware they are different but are concerned about learning just how much they are unique compared to others of the same age. If you are raising gifted children, it's important to remember that although they are advanced in particular areas, they are still children and should be treated as such. Teach them to talk through strong emotions and quell anger if necessary.